Recent films such as Gravity, Interstellar, and The Martian might have you hyperventilating at the thought of reaching for the stars, much less living there, but don’t panic. 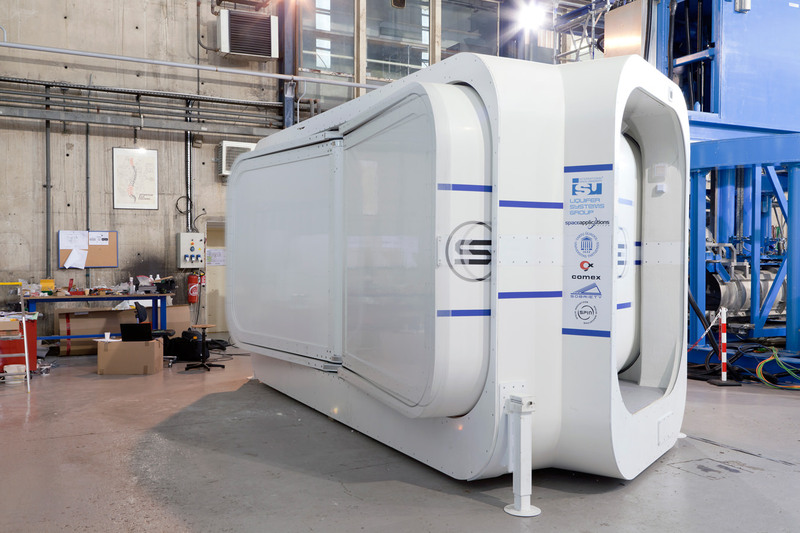 This winter a European consortium, Liquifer Systems Group (LSG), introduced the Self-deployable Habitat for Extreme Environments, or SHEE. 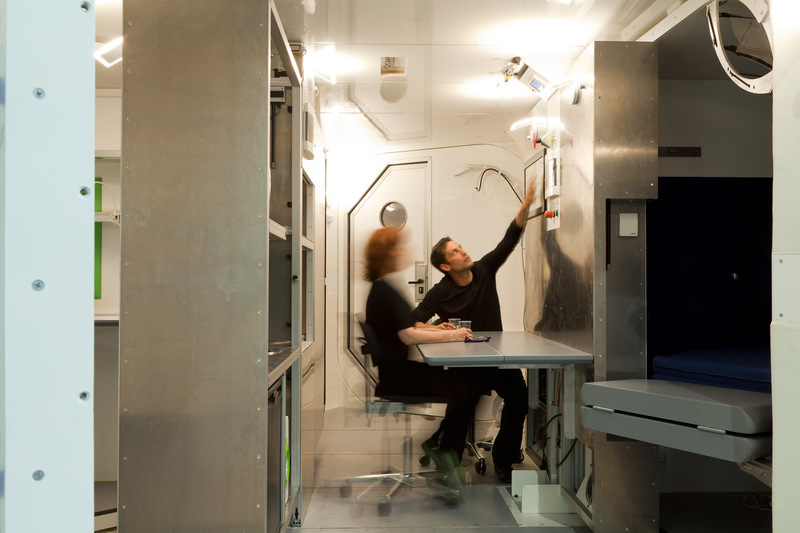 This 300-square-foot live-work space can support a two-astronaut crew in austere environments for two-week test runs on Earth that would mimic short lunar or Martian missions. 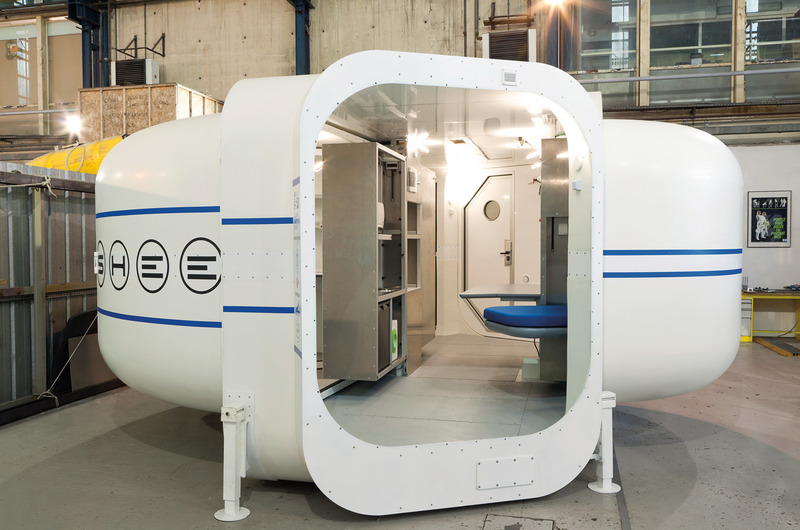 The shelter is Europe’s first space simulation habitat and the first to use a hard-shell telescope that folds down from its open, “six petal” configuration to become ultra-compact and easily transported by land, sea, and air when stowed, then automatically deploys back out to twice its volume on arrival. It can also be used in extreme environments, from Antarctica to Death Valley, as a research module or emergency medical unit in disaster areas. The SHEE demonstrates the direction in which the design of such habitats is headed: toward highly mobile, modular, expandable, and adaptable, converting from habitat, lab, office, or residence to cargo hold while remaining impervious to noisome elements like radiation. 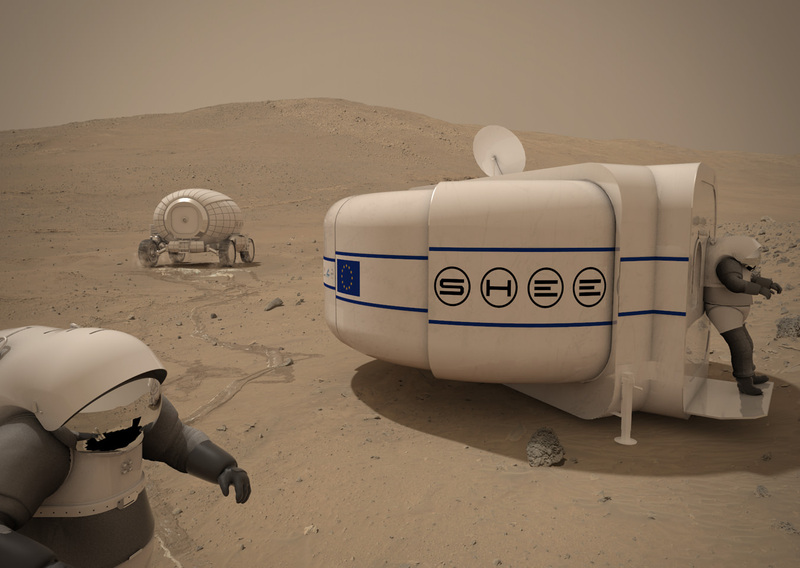 Second-generation space habitats will even be made from “local resources” and solar-sintered, or “lava cast”, from lunar sand or Martian regolith. Photos by Bruno Stubenrauch, 2015, SHEE consortium.